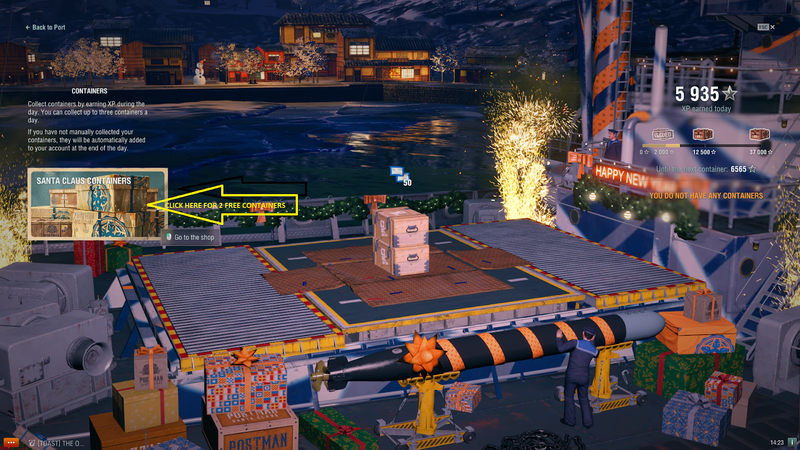 Santas Lootboxes Arrive, Here's What Ships You Can Win! 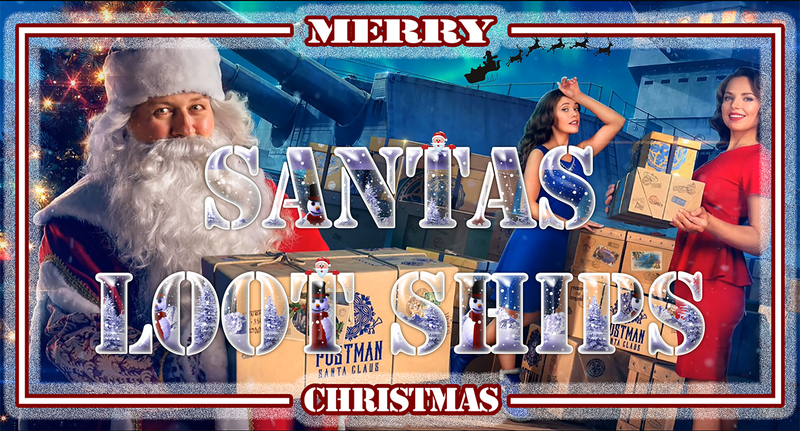 All Santas Lootbox containers may include a random "Premium Ship", including rare ships such as Missouri, Imperator Nikolai I, Gremyashchy, Mikhail Kutuzov, Belfast, Kamikaze, and Giulio Cesare. 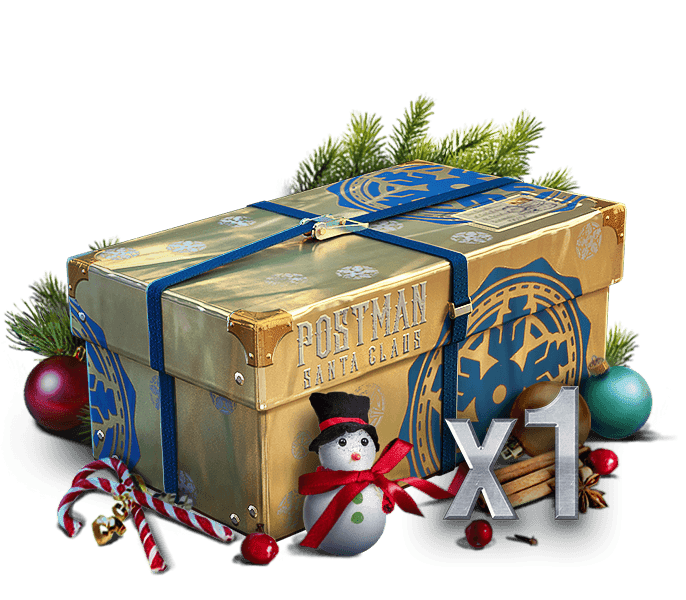 2 Free Santa containers are waiting for you to collect in-game. 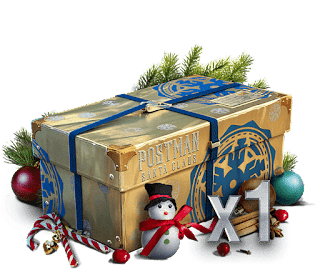 Some containers can be obtained in battle, through valiantly accomplishing Combat Missions or fighting in Clan Battles. Containers may also arrive with Daily Shipments and can be granted as rewards for completing the New Year-inspired collection: "Belle Époque". These features will open up gradually throughout the entire duration of the New Year update. Tier IX Missouri - Duplicate can not be won. Tier IX Kronshtadt - Duplicate can not be won. Tier IX Musashi - Duplicate can not be won. If you get a ship that you already own, it will automatically be swapped for a different ship from the list. In this situation, a New Year container dropped onto the transport ship in the Port will be changed for a supercontainer, and you will get a ship that comes with a Port slot and Commander with 10 skill points. If you get a ship that is already anchored in your Port and have collected all the ships that have a chance of being dropped in Santa's containers, the transport ship will be displayed with a New Year container placed on its deck. Once you open the container, you will see the ship it initially carried. That ship, however, will not steer into your Port. Instead, you will receive the ship's price in doubloons, a Port slot, and a Commander with 10 skill points.